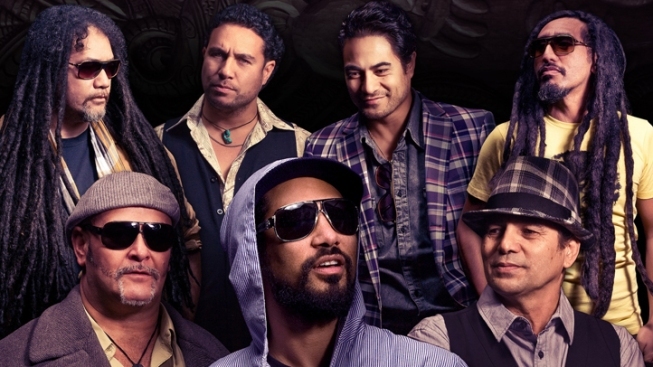 Katchafire headlines reggae show in the City. Headliners Katchafire had women swooning and men at least swaying with their smooth love songs. Thousands of people packed The Mezzanine in San Francisco to catch a reggae show that sold out in just days. Headliners Katchafire had women swooning and men at least swaying with their smooth love songs. Their high-energy style had the crowd pumped before they even hit the stage. The New Zealand natives have made several stops in the Bay Area on their seven international tours and did not disappoint Wednesday night. As they told The SF Examiner’s Alyssa Tomfohrde they pride themselves as more than just musicians. They show off their skills as performing arts school grads in their infectiously fun videos and are happy to bring that humor to bay area audiences. “Love, love, love the vibes! It’s awesome to come back to the Bay Area and specifically San Francisco shows!” says singer and guitarist Logan Bell. Katchafire had a tough act to follow in Southern California-based Common Kings. The band with roots in reggae, rock and soul got the crowd pumped with their Michael Jackson medley. It’s often hard to get audiences as excited about original songs after covering a legend like MJ, but the original content by Common Kings was just as compelling. The catchy lyrics and high energy moves are impossible to ignore. Lead Singer Sasualei “JR King” Maliga doesn’t miss a note even though he’s jumping and dancing the whole time. His energy is matched by bandmates Taumata Grey, Ivan Kirimaua Jerome Taito and in turn, the audience. Common Kings is on its way to fame and now bay area reggae fans can claim they knew them when.